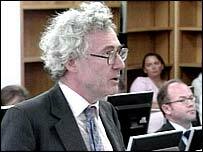 2010 and 2011 have seen the development of three key issues relating to the (political) role of the judiciary – the concept and place of human rights within our legal system, the appointment of judges and, more recently, the role and influence of the UKSC in Scotland. Recently two more contributions have been added to the debate. Firstly, Aidan O’Neill QC tells The Telegraph that an ” Independence referendum is probably illegal“. “Aidan O’Neill said only Westminster has the authority to hold a vote on breaking up Britain, but Mr Salmond may seek “political advantage” by crying foul when his proposals are declared unlawful. Leave a reply on "More politics of the judiciary [updated]"